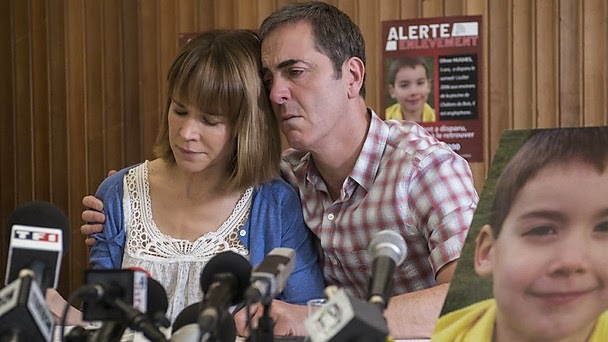 After debuting last week to both critical and viewer acclaim, BBC One's tense 8-parter The Missing continues tonight. In a blog for the BBC director Tom Shackland speaks about finding the locations of the series. One of the many things that excited me about directing Jack and Harry Williams' scripts for The Missing was the clever use of two time zones to tell their twisty-turny thriller. I loved the idea of really contrasting the bright, colourful atmosphere of a family holiday in France, with a bleak, wintry present when all our characters are more estranged from each other. Despite the different atmospheres in each time zone, it was important to me that the overall tone of The Missing was naturalistic and consistent. Aside from some subtly different lighting and lenses, we tended to shoot both time periods in a similarly composed style. The director of photography, Ole Bratt Birkeland, and I would joke that we were making ‘pretty realism’ as opposed to 'gritty realism'. Although the performances and design are very authentic, Ole and I felt that if we could infuse the imagery with mystery and a certain kind of melancholy beauty, the viewers would be more likely to come on a dark journey with us. I’ve always been a big Hitchcock fan – he was master of blending nasty events with seductive, suspenseful imagery. You never feel like looking away, whatever hideous things might be going on in the story. The biggest decision about the look of The Missing was always going to be what town we chose to be Chalons du Bois. Along with Willow Grylls, the fantastic executive producer who developed the project with Jack and Harry Williams, I made a trip to Belgium in summer 2013 to look for the town. The French speaking part of Belgium is a very good match for Northern France, and it was pretty close to Paris and London, where we were also planning to shoot. As soon as we drove into Huy, we knew we’d struck location gold. Although the town felt real in the sense that it wasn’t a tourist town, everywhere you looked there was something curious or atmospheric. There was a beautiful river with a massive power station right next to it, bang in the centre of town. You enter the town by crossing over a very striking modern bridge – magical river islands to one side, grim factory to the other. An eerily windowless castle glowers over the town. There’s a creaking cable car suspended across the river, which has never worked since a helicopter crashed into it. Instantly, I started to picture the places where certain characters might live and the way we could stage set-pieces. It was a joy to shoot in Huy, especially during the World Cup when Belgium were doing pretty well. We’d be shooting a scene full of celebrating football fans, and suddenly car horns and cheers would erupt all around us, as the Belgian team scored a goal. Shackland also spoke about the rehearsal process his cast went through. By and large this worked really well, but not always. Like there’s a scene I love in episode one when Tony Hughes, played by Jimmy, and police detective Julien Baptiste meet for the first time (in the present) in a bar in the town we chose to be Chalons. I’m amazed Jimmy didn’t catch pneumonia during the shoot – it seemed like every other day we were chucking rain at him or making him leap into freezing water. He was a true hero though and completely embraced all of Tony’s extremes. I think Jimmy is fantastic in this role – it’s unlike anything I’ve seen him do before. 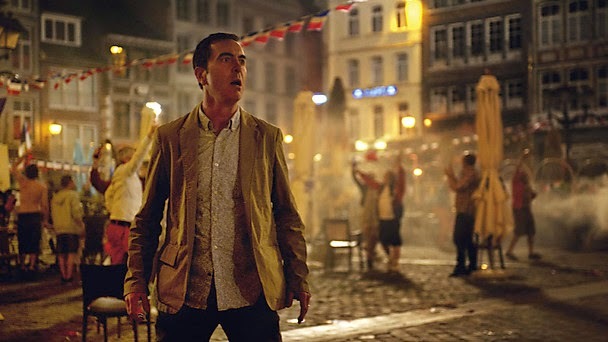 The Missing Continues Tonight at 9.00pm on BBC ONE.